The milkweed buds are opening. Who would’ve suspected that yellow flowers would be inside of pink buds? Sidenote: Monarch butterfly caterpillars like milkweed. 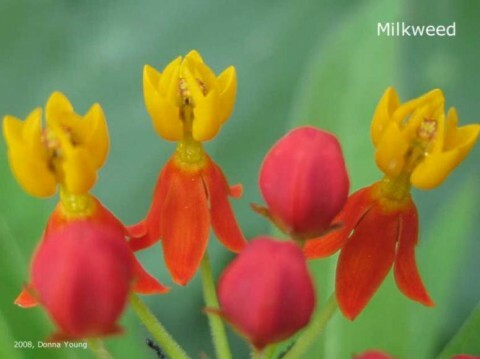 If you want to grow monarch caterpillars at home for your homeschool, you will need milkweed plants because that is where they lay their eggs. Yes, that is an ant. I haven’t had time to look into why the ants are interested in the blooms. I have ideas, but I don’t know yet. Neat photo. We usually have lots of ants and aphids on our milkweeds.